In a recent blog post, organizing and cleaning expert Donna Smallin Kuper asks, What would your clutter say if it could talk? As most of us spend more time indoors during the winter months, the accumulation of all types of items in your house and the need to declutter becomes more obvious. Here are some of the symptoms she describes. Can you find what you need when you look for it? Do you have more than one junk drawer or an entire junk room? Is your dining room table, kitchen counter, or desk piled high with paper and other items? I would also add, Is your guest bedroom, finished basement or garage so full of boxes and various items items that the rooms can’t be used? If all these items around your house could talk, here is what they would be saying. If you are in the habit of setting things down instead of of putting them away, clutter happens. 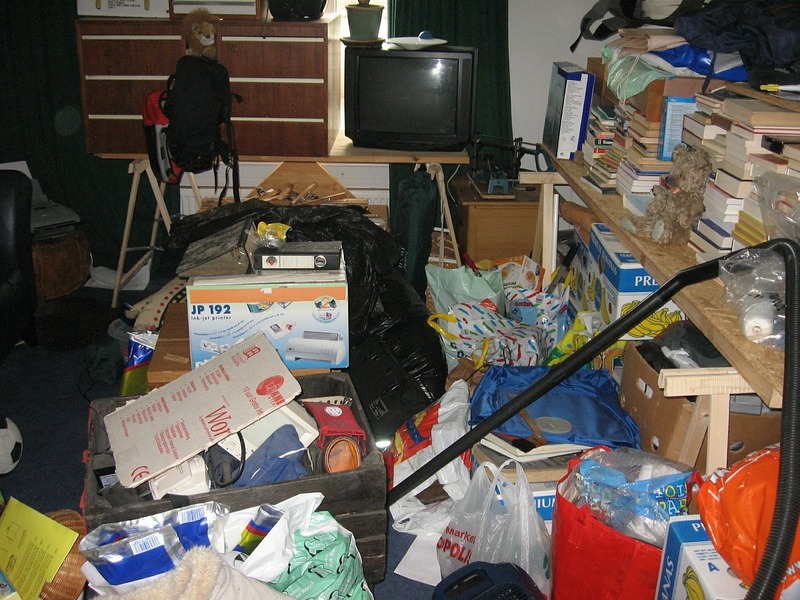 Clutter often accumulates in our homes because you think how much you paid for something that you did not end up using. As a result, you feel guilty for getting rid of the item even if you will probably never use it. Look at what you have sitting around the house and taking up valuable space. Is there really any value in keeping clothing that is several sizes too small? Are you likely to every use the craft supplies or materials for a hobby you gave up years ago? In addition, items that are the most difficult to part with are things you inherited. Are they really something you would buy today? Just because somebody else gave them to you doesn’t mean you have to keep them forever. Consider taking photos of the items, write up a description of their backgrounds, and then findindig a new home for them. Maybe you might not really need a bigger house, more storage space or even a storage locker. You might just need less stuff. “Clutter detracts from our lives in ways we don’t even realize,” said Donna. “It gets in our way. It steals our time, energy and attention.” Think about how good you would feel if all those excess items were gone. Keep thinking about that good feeling as you eliminate the clutter room by room. To read the entire article, which includes more suggestions on how to deal with these four issues, go to What Your Clutter Would Say If It Could Talk. Donna Smallin Kuper is an organizing and cleaning expert. She is the author of a dozen best selling books. Donna has been a guest on multiple television and radio shows. She was interviewed as a subject matter expert for many magazine articles. Among these are articles are ones that appeared in Real Simple and Redbook magazines where she recommended the pen-shaped non-scratch Scrigit Scraper as one of her favorite household cleaning tools.